The manual therapy or Tuina is a fundamental feature of TCM in which the practitioner treats the patient by using light, directed manual force to the body. The manual therapy is used to treat musculoskeletal pain and disability. It improves the circulation of blood and energy (Qi), releases muscle tension and enhances the mobility of joints and overall elasticity of the body. The numerous massage techniques that are applied to the different body parts have similar effects on the body as acupuncture needles. “Xuanfu” in TCM means sweat pores. Herbal Steaming bath is one of the oldest forms of healing and relaxation therapies and an essential part of our TCM Special treatments. 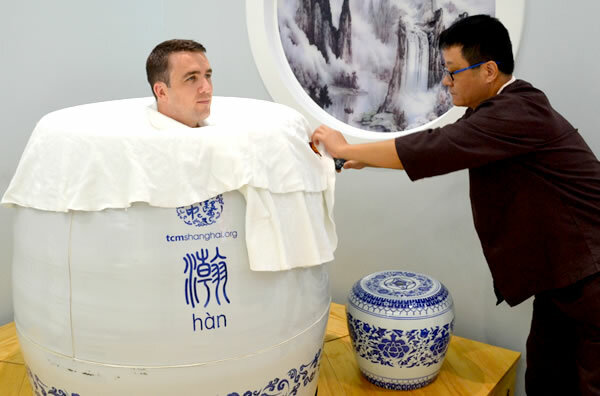 During the therapy session, the patient sits in a special designed egg-shaped steam bath cabinet, which completely encases the body below the neck which allows the patient to breath the fresh air. As a herbal remedy, we add different types of customized herbal and steam the mix herbal into the bath, which is between 35– 40° Celsius hot. Depending on the nature of the health condition, a steam bath takes between 15 – 25 minutes and can be repeated as required. 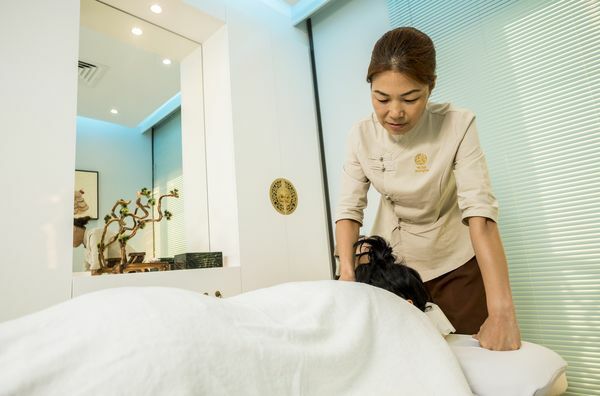 The foot & leg reflexology treatment at TCM Shanghai uses a special equipment to support the body’s regenerative powers while focusing on the lower musculoskeletal system. The treatment is divided into two parts. Part 1 involves a bath of the patient’s feet and lower legs, which is infused with dissolved water and salt from the Dead Sea , takes around 20 minutes. Afterwards, the patient receives a 30-minute foot and leg massage in which our TCM practitioner applies special medical massage with oil and unique Tuina technologies for the foot and leg.